If you are interested in reserving a facility or shelter, please read the required information in the rental brochure below. Shelter rentals are available Memorial Day through Labor Day. 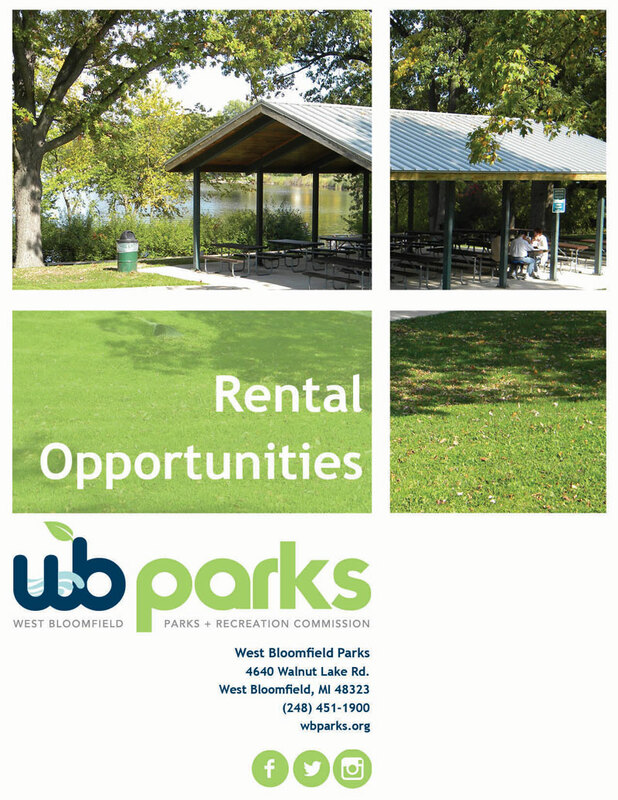 Facility rentals have availability year-round. When the date scheduled falls on a Saturday or Sunday, reservations will begin the next regular business day. Forms are currently being updated and will be ready for download by March 1st. The purpose of this permit is to allow organizations or individuals the opportunity to rent park facilities for special activities and events. Before filling out the application, please call the Parks Superintendent, Joe Ketchum at (248) 451-1920 to determine if your event fits the qualification guidelines. Please contact Joe Ketchum at 248.451.1900 with questions regarding field/court rentals.